An ultra-lightweight sock for everyday wear, the Lifestyle Ultralight Crew Campfires offers comfort all day, all-year-round. Made from a blend of merino and nylon with a touch of LYCRA® for stretch, these socks are silky soft and durable. 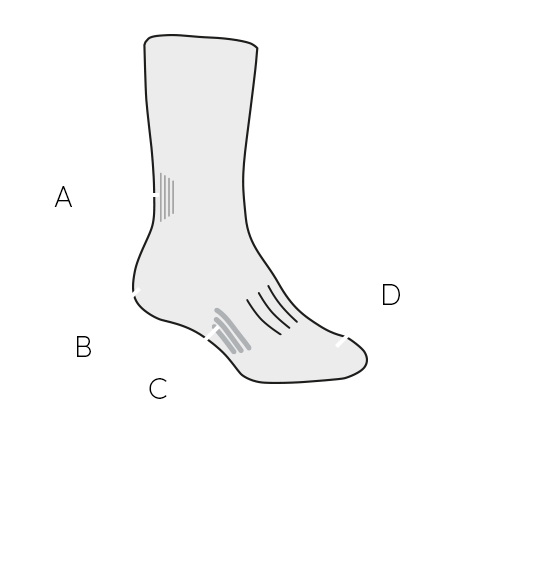 Strategic support zones help with fit and stability, and the seamless design keeps blisters at bay. The fun pattern evokes summertime adventures.